HMD Global has launched the Nokia 8.1 at the launch event in Dubai. The Nokia 8.1 is the Nokia X7 for the global markets. As expected, there’s NFC support and Android One software experience. 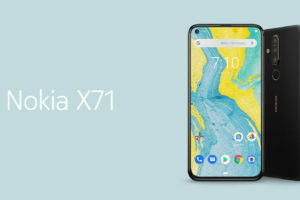 The rest of the device is majorly the same as the Nokia X7. Nokia Mobile is projecting the Nokia 8.1 as an upgrade to the Nokia 7 Plus (instead of Nokia 8). HMD Global’s CPO, Juho Sarvikas mentioned that it is done to simplify the naming of Nokia phones. Honestly speaking, it is a bit of a mess, but the Nokia 8.1 might not be the perfect name for a Nokia 7 Plus successor. 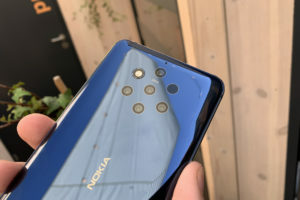 The highlight of the Nokia X7 are its cameras, along with the Zeiss optics. Nokia Mobile is using a Sony IMX363 sensor on the back. The back camera is a 12MP + 13 MP sensor with a f/1.8 lens and a dual LED flash. The front camera is a 20MP shooter with a f/2.0 aperture. Here are the other major specs.